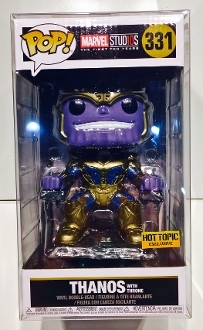 1 custom made box protector for the Funko Thanos With Throne! These are not set up for International shipping because of the size of the box. The shipping won't figure accurately. If you are outside the US and need this one please contact us with what you need and where you are located and we can go from there.